Winner of the 'Civilians & bystanders' category in the Area51 sculpting competition and sculpted by Tom Mason. 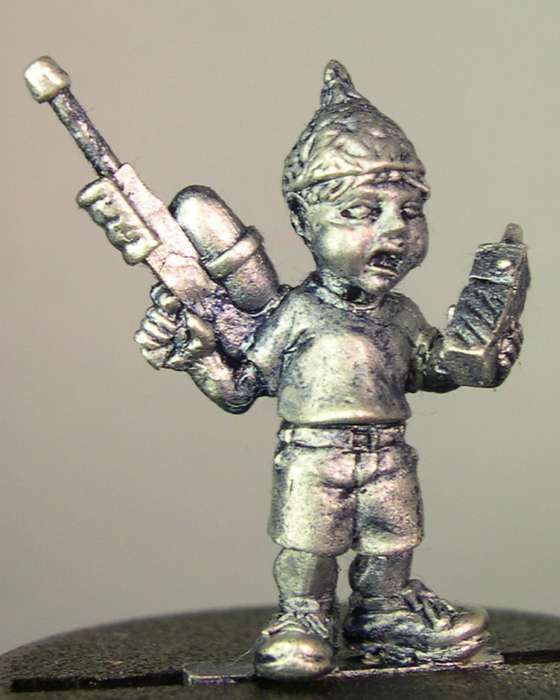 This fearless little guy with his tin foil hat and 'super-soaker' water pistol looks all set to go into open combat with any aliens that threaten his sweetie collection let alone his planet! Approx 15.5mm to eye level and 21mm to the top of his head.